Maalik, a 3-year-old from Valdosta, Georgia lives with Hurler Syndrome. This condition is a rare, genetic disease of the metabolism and requires the patient to undergo a bone marrow transplant. 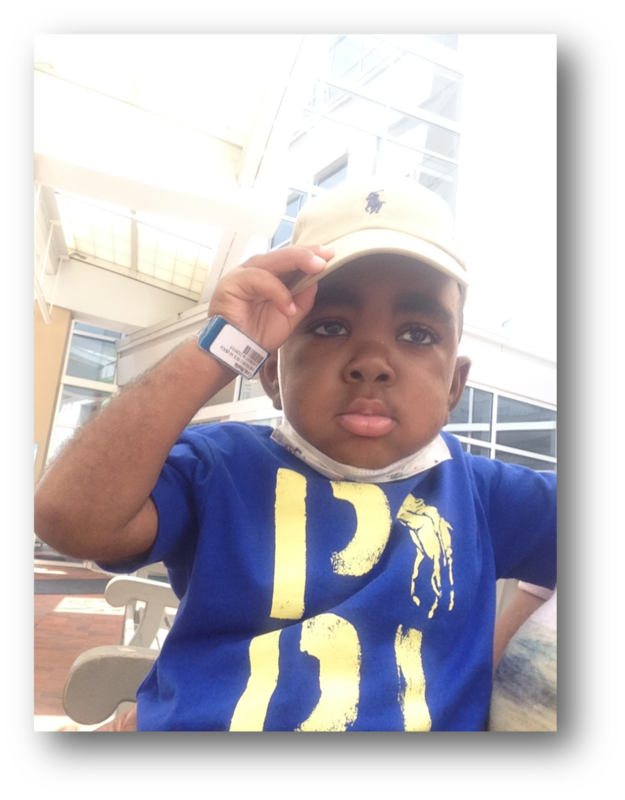 Maalik had his transplant at Duke University Medical Center and now requires frequent follow-ups to ensure his recovery is on track. By all accounts, the transplant was a success and Maalik is doing very well. On behalf of myself and my son, Maalik Thank you so much from the bottom of our hearts for helping us make our travel back to North Carolina an easy experience! Thank you and the entire children’s flight of hope! We appreciate it so much! Maalik also sends thanks for the package he received in the mail.